Vice President Joe Biden said today that "nothing has been taken off the table" when it comes to the U.S. response to an alleged plot by Iran to assassinate the Saudi Arabian ambassador to the U.S. and unleash deadly terrorist bombings in Washington, D.C.
"It is an outrageous act that the Iranians are going to have to be held accountable," Biden told ABC News' "Good Morning America". "This is really over the top." U.S. Attorney General Eric Holder announced Tuesday the DEA and FBI had disrupted a plot "conceived, sponsored and... directed from Iran" to murder the Saudi Arabian ambassador to the U.S. in or outside a crowded Washington, D.C. restaurant which potentially would have been followed up by bombings of the Saudi Arabian and Israeli embassies. 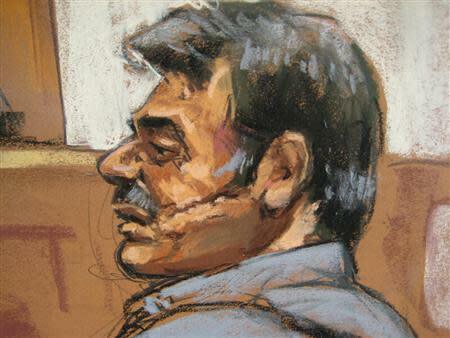 The U.S. said an Iranian-American, 56-year-old Manssor Arbabsiar of Corpus Christi, Texas, was working for elements of the Iranian government when he attempted to hire hitmen from the feared Zetas Mexican drug cartel to carry out the hit, but Arbabsiar was unwittingly speaking to a DEA informant from the start. Senior Obama administration officials had previous told ABC News the U.S. response would not include the possibility of an armed conflict with Iran and -- though a complaint filed in federal court directly tied Iran's elite Quds military unit to the plot -- there was no information that Iran's top leaders were aware or had any role. Biden said the U.S. was in the process of "uniting world opinion" against Iran as it goes forward with a response. The U.S. Treasury Department announced Tuesday sanctions against five Iranians allegedly tied to the plot. A lawyer for Arbabsiar has not returned requests for comment, but the man's wife, Martha Guerrero, said he was wrongly accused. "I may not be living with him being separated, but I cannot for the life of me think that he would be capable of doing that," she told ABC News' Austin affiliate KVUE, noting the two had been separated some time. "He was at the wrong place at the wrong time. I'm sure of that." Iranian officials have strongly rejected the U.S. accusations, calling them a "fabrication." The head of the Iranian mission to the United Nations penned a letter Tuesday to U.N. Secretary General Ban Ki-moon expressing "outrage" at the allegations. "The U.S. allegation is, obviously, a politically-motivated move and a showcase of its long-standing animosity towards the Iranian nation," the letter says. "The Islamic Republic of Iran categorically and in the strongest terms condemns this shameful allegation by the United States authorities and deplores it as a well-thought evil plot in line with their anti-Iranian policy to divert attention from the current economic and social problems at home and the popular revolutions and protests against United States long supported dictatorial regimes abroad." The new case, called Operation Red Coalition, began in May when Arbabsiar unwittingly approached a DEA informant seeking the help of a Mexican drug cartel to assassinate the Saudi ambassador, according to counter-terrorism officials. Arbabsiar reportedly claimed he was being "directed by high-ranking members of the Iranian government," including a cousin who was "a member of the Iranian army but did not wear a uniform," according to a person briefed on the details of the case. Holder identified Shakuri as an Iran-based member of the Quds force. Arbabsiar, a naturalized U.S. citizen, expressed "utter disregard for collateral damage" in the planned bomb attacks in Washington, according to officials. 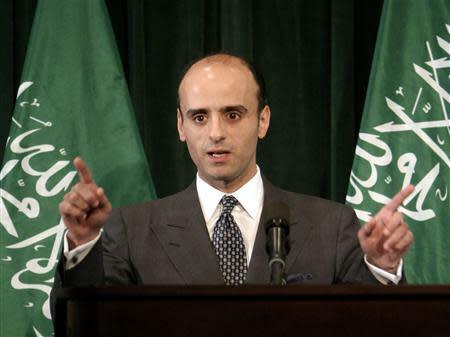 The complaint describes a conversation in which Arbabsiar was allegedly directing the informant to kill the Saudi ambassador and said the assassination could take place at a restaurant. When the informant feigned concern about Americans who also eat at the restaurant, Arbabsiar said he preferred if bystanders weren't killed but, "Sometimes, you know, you have no choice, is that right?" U.S. officials said Arbabsiar met twice in July with the DEA informant in the northern Mexico city of Reynosa, across the border from McAllen, Texas, and negotiated a $1.5 million payment for the assassination of the Saudi ambassador. As a down payment, officials said Arbabsiar wired two payments of $49,960 on Aug. 1 and Aug. 9 to an FBI undercover bank account after he had returned to Iran. Officials said Arbabsiar flew from Iran through Frankfurt, Germany, to Mexico City Sept. 29 for a final planning session, but was refused entry to Mexico and later put on a plane to New York, where he was arrested. Officials said Arbabsiar is now cooperating with prosecutors and federal agents in New York, where the case has been transferred. "Though it reads like the pages of a Hollywood script, the impact would've been very real and many lives would've been lost," FBI Director Robert Mueller said of the foiled plot. ABC News' Richard Esposito and Jake Tapper contributed to this report. President Donald Trump's lawyers saw a redacted version of special counsel Robert Mueller's report prior to its release to the public and Congress, Attorney General William Barr acknowledged Thursday. Speaking at a news conference in Washington, Barr said both the White House counsel's office and the president's personal attorneys requested the chance to review the report and he agreed. "The president's personal lawyers were not permitted to make and did not request, any redactions," Barr said. Some 90 percent of the priceless relics and art works housed within the Notre-Dame de Paris cathedral were saved from Monday's devastating fire as contingency plans to evacuate the treasures worked, a leading insurance adjuster said on Wednesday. Insurance adjuster Michel Honore, the director of fine art at Sedgwick, has been given the task of assessing any damage to the cathedral's "Trésor" or treasure. The contingency evacuation plan included putting priorities on objects for removal, Honore told Reuters, adding "the plan itself worked perfectly and was adhered to the letter and that is why the contents lost is not as severe as might have been feared". Public at last, special counsel Robert Mueller's report revealed to a waiting nation Thursday that President Donald Trump tried to seize control of the Russia probe and force Mueller's removal to stop him from investigating potential obstruction of justice by the president. Trump was largely thwarted by those around him. Mueller laid out multiple episodes in which Trump directed others to influence or curtail the Russia investigation after the special counsel's appointment in May 2017.